Path of Exile is a free online action role playing game. As an exile, you are cast into the dark world of Wraeclast to fight for survival. This game offers visceral gameplay, deep character and item customisation and a massive socketable skill tree. With seven classes and hundreds of skills to choose from, Path of Exile offers boundless replayability. The free-to-play model allows you to purchase cosmetic microtransactions but does not offer a gameplay advantage. Now is the time to play! 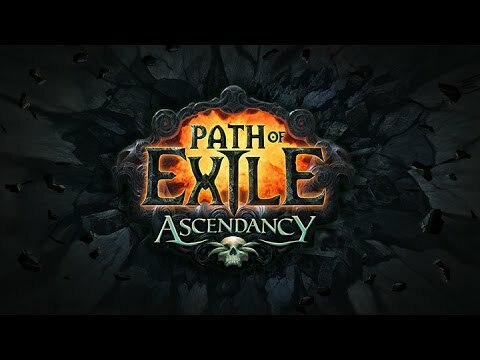 On March 4th we released one of our most exciting expansions yet, Path of Exile: Ascendancy. This update is totally free and introduced nineteen new Ascendancy Classes to further customise your characters. To ascend your class, you'll first need to fight your way through the traps and trials of the Lord's Labyrinth and defeat Emperor Izaro. How do you guys think of fitting names? what build do you run for MF toons guys ?